Yesterday bitcoin smashed through the 5k resistance barrier what does this mean? It means that the amount invested into bitcoin in the last few days is a much larger volume than recent trends and the price doesn't have time to properly adjust, as seen below It is very likely the $6k mark will also be pushed through with ease. Bitcoin did smash the 5000 USD barrier but there is a slight chance that it can still be dragged down to 4000 USD around that ie; 4950 USD . 6000 USD would take a long time. 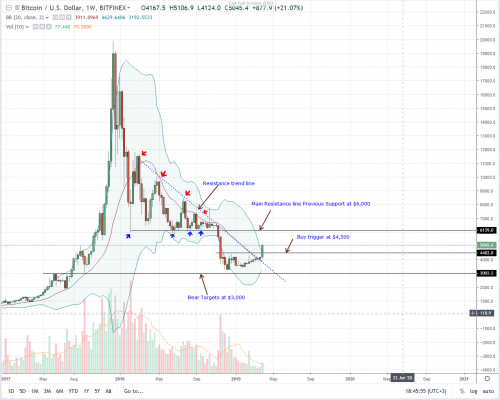 There's indeed a potential for BTC to reach 6k and even more , but i think we need more time to see this reflecting in price.